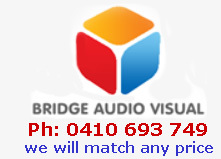 Full HD Plasma Screens, LCD Monitors and Stand Hire in Sydney. If you have a presentation, exhibition or wedding where space is at a premium, a plasma or LCD screen may be the answer. 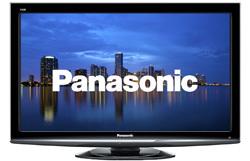 We have a range of full high definition (HD) monitors to suit any PC. The advantage of LCD screens over projectors is that they have richer tones and deeper blacks. Since these are TVs as well as monitors, they can be used for watching free to air, Foxtel or Sky broadcasts. We rent many of these for Melbourne cup, Football finals and other live events. We can supply the plasma screens with their own stands or you can rent a professional monitor stand (see below.) Due to the relatively fragile nature of this equipment, we can only accept hire orders where we deliver them and no pickups allowed. All our TVs and monitors are 3D capable. We can supply passive 3D glasses free of charge if required. These sturdy stands will fit all our monitors. You can hire them together with our plasma screens, or if you have your own screen, you can rent them by themselves. There are two fixed heights you can choose from depending on whether your audience is seated or standing. The stands roll on caster wheels that can be locked. There is a shelf for your PC or a DVD player. The stands are supplied with standard monitor/TV mounts and we have a range of bolts and washers to suit every TV brand. Maximum capacity is 60kg and it will take TVs from 32" - 65". There is also a shelf for your laptop or DVD player.